Tedious threading of upper and lower loopers are a thing of the past. Simply insert thread into the specially designed air threading ports and your thread is transported to where it needs to be with an easy push of a lever. 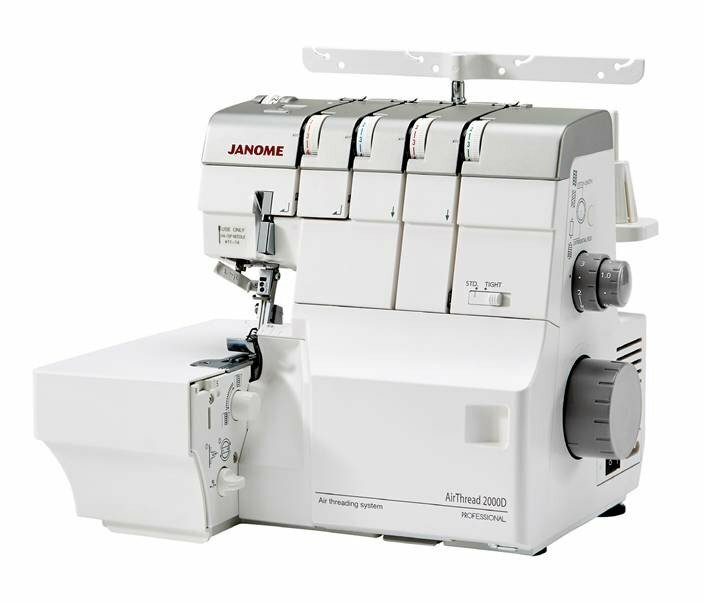 The Janome Air Threading serger also has A Janome first! With a built-in needle threader, manually threading your serger needles is a thing of the past. One unit provides easy threading of both the right and left position needles.